Whether you’re looking for a Mattress to help your healthy back-care regime or you’re simply looking for a comfy mattress that packs a lot of luxury into a small price then SC Furniture has the mattress for you. 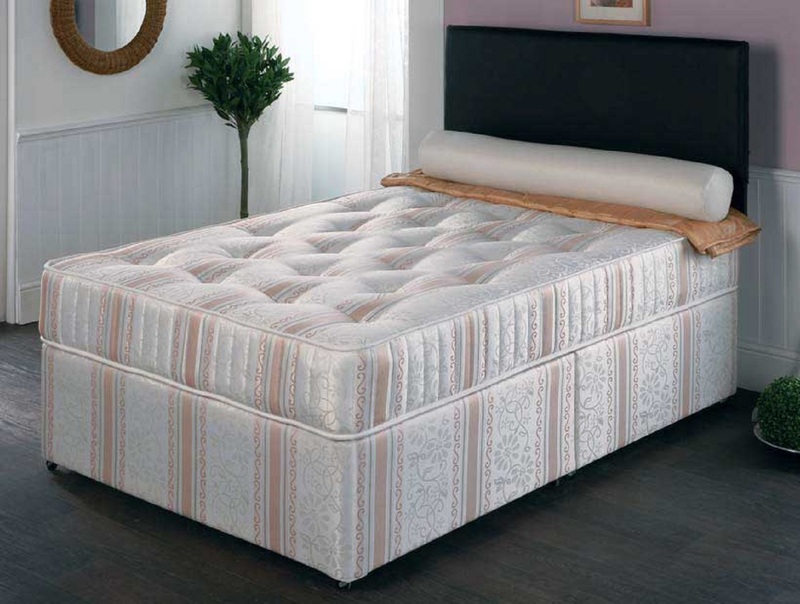 The Empress Clio Mattress is designed to provide a good degree of support. This deep quilted damask mattress contains a 13.5g open coil spring unit with layers of bonded fibre filling to help support your back. It is covered in a modern damask cover to give the bedroom a modern look. It also has a 9 gauge steel wire rod edge frame for extra edge support. The Empress Clio is hand tufted for extra comfort making the sleeping surface extra comfortable. We stock a wide range of king size mattresses. All our king size mattresses measure 5’ x 6’6″ (150 cm x 200 cm) – ideal for larger bedrooms or if you are looking to create more space in your room. Whether you’re looking for single sprung mattresses, single memory foam mattresses or a wide selection in-between! Just give us a call if you are unsure which mattress to buy and our trained staff will advise you what we think will be the most suitable. We have a wide range of beds to suit your mattress if needed from a standard divan base to oak bed, please contact us if you require any further assistance. Delivery on this item is from £55 and will be added upon checkout. England and wales only, Scotland customers please contact us for a price.